Podcasts are emerging as a cultural touchstone, connecting with the most mainstream and niche of listeners. This medium has democratized audio the way blogging and YouTube have for other platforms, while proving to be infinitely versatile for distribution across emerging platforms. In a keynote presentation, Laura Correnti and Alexa Christon address why podcasting is the seminal movement for the modern media mix and the way brands connect with people in their daily lives. Gimlet Media co-founder Alex Blumberg joins Laura and Alexa to discuss the present and future. Edison Research SVP Tom Webster will present the latest data on how Americans listen to audio, podcasting, and smart speakers, including new results from The Infinite Dial 2018. After the presentation, Tom will sit down with visionary entrepreneur Jack Myers to put perspective in the numbers. Samantha Henig oversees the audio strategy and audio team at The New York Times, where the podcast portfolio includes popular morning news program The Daily. The conversation with Re/code Senior Editor Peter Kafka will touch on the emergence of that flagship show, a recently announced narrative news program, and the importance of audio in helping define the New York Times brand. Podcast listening is up 18% YOY. New shows launch weekly. Ad spending on the format has surpassed $220M annually, with more growth in sight. How are brands and agencies evaluating this platform in a time when many are reconsidering their investment in digital and TV? How are marketers engaging this valuable audience? How are brands and agencies measuring success? Top agency buyers share how podcasting fits into their media strategy for clients, how they position podcast advertising to clients, and their campaign recommendations. Today, the download remains the primary means of measuring podcasts, showing only part of the equation. In the past year, the industry has advanced toward measuring real-time listening, not just downloads, offering a critical level of transparency and data for publishers and advertisers. Apple Analytics has provided the first peek at this new measurement model, and an emerging model called Remote Audio Data (RAD) has been gaining interest. This panel discusses how new listening metrics might shift the industry, and why 2018 could be a pivotal year for intelligence and growth. Chris Peterson heads up the podcast initiative at iHeartRadio, the digital arm of the largest commercial radio group in the U.S. and a top podcast publisher. Sara Fischer moderates a discussion of a strategy which joins original content with distribution scale. 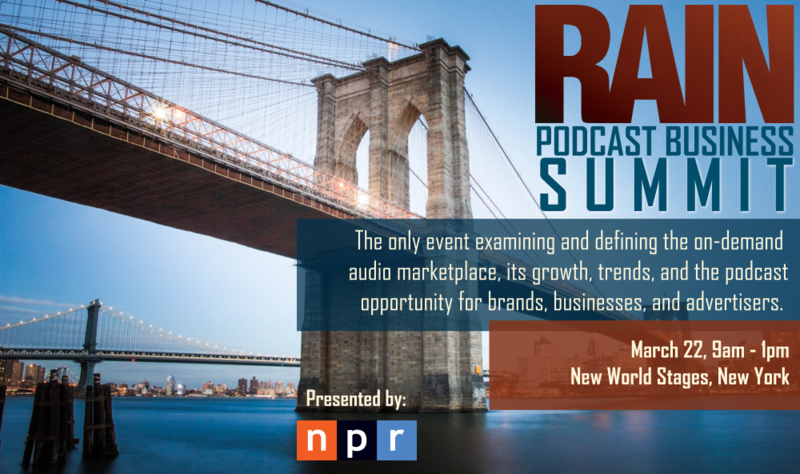 12:25 – PANEL: Can Ad Tech Preserve Podcasting’s Values? 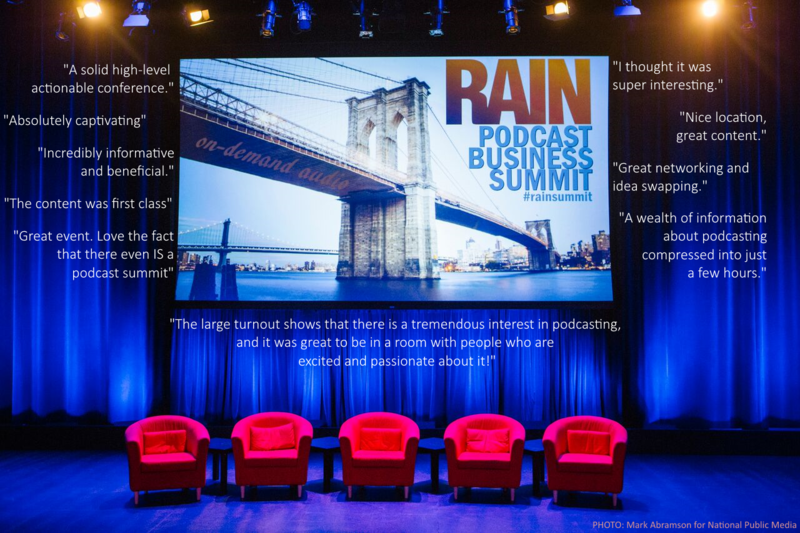 Podcasting thrives on live-read, personal endorsements of products by program hosts. That style of advertising continues to work beautifully, and is unique in digital audio. At the same time, standard digital audio ad technology has entered the toolbox for advertisers, including recorded endorsements, dynamic ad insertion (currently 56% of ads). Can podcasting benefit while keeping its mojo?